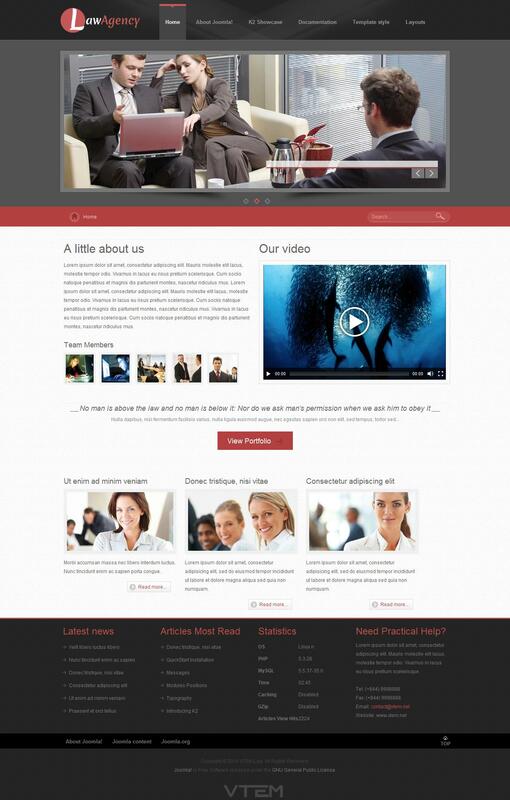 VT LawAgency - a new professional business template from the team Vtem. This template is designed in warm colors, contains a sophisticated and modern design that comes with 4 color schemes (red, orange, blue and green). The modular design of the layout very carefully designed and includes more than 35 module positions. With native support for directory-based component K2, it is possible to easy publishing and necessary to display them on the site. Among the main advantages of the template should be noted, fast loading pages, well-optimized code template files, full support for mobile devices and all versions of popular browsers.